Hawaii recently passed a bill to ban two ingredients commonly found in sunscreens. The State of Hawaii considers oxybenzone and octinoxate to "have significant harmful impacts on Hawaii's marine environment and residing ecosystems". These chemicals are used in over 3,500 brands of sunscreen worldwide. It has been estimated that between 600 and 14,000 tonnes of sunscreen enters our oceans each year. That isn't just from taking a dip at the beach, but also the sunscreen that is washed down the drain when you shower. How are sunscreens harming corals? In 2003, researchers found that sunscreens can increase virus abundance in marine bacterioplankton. 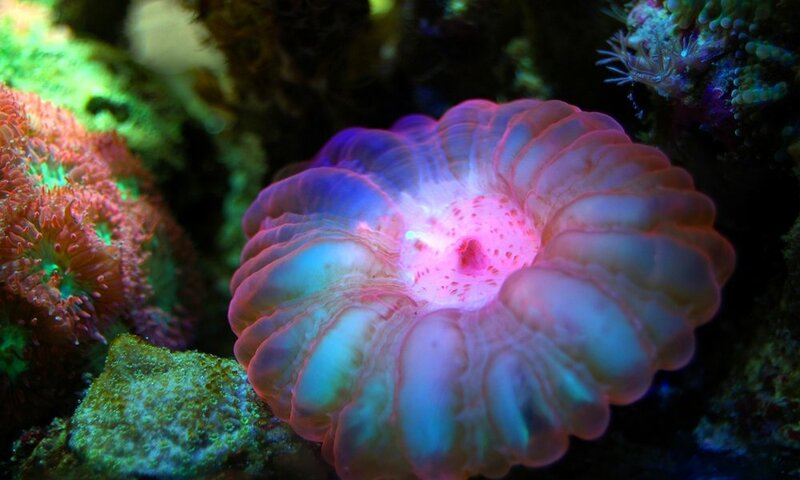 A study published in 2008 also showed that sunscreens promoted viral growth leading to rapid bleaching of hard corals even at low concentrations. In 2015, a team of researchers from the USA and Israel were able to show in laboratory experiments using larval coral that oxybenzone was toxic to the zooxanthellae and exposure stunted growth, caused abnormal growth and deformations from endocrine disruption, damaged DNA and increased the corals susceptibility to bleaching, even at concentrations as low as 1 drop in 6.5 Olympic-sized swimming pools. The impacts these chemicals have on corals has been known for some time, and back here in Australia the Cancer Council has already removed oxybenzone from their sunscreens and are phasing out octinoxate. Hawaii's ban has also prompted the Queensland government to warn vacationers to carefully consider their choice of sunscreen before heading to the Great Barrier Reef. It's unlikely though that we will see such a ban here in Australia, with some experts calling the ban 'overkill'. In the meantime, there are some choices you can make right now that will reduce your impact on the environment. Simply throw on a shirt and hat when you're out in the sun. And when you're hitting the waves, chuck on a rashie and some boardies. Clothing is just as effective as sunscreen at protecting you from the sun. If you just cant live without sunscreen, next time you head to the shops to restock, look for 'reef safe' sunscreen brands. Be sure to check the ingredients though, and make sure they don't contain oxybenzine or octinoxate. Good alternatives are mineral sunscreens, where the active ingredients are titanium dioxide or zinc oxide. While they're a bit goopier, they'll get the job done without costing the earth, literally. Now head out an enjoy that sunshine with a clear consciounce!